What is the company culture like at your workplace? What’s the vibe like? Are your teammates your top competition? 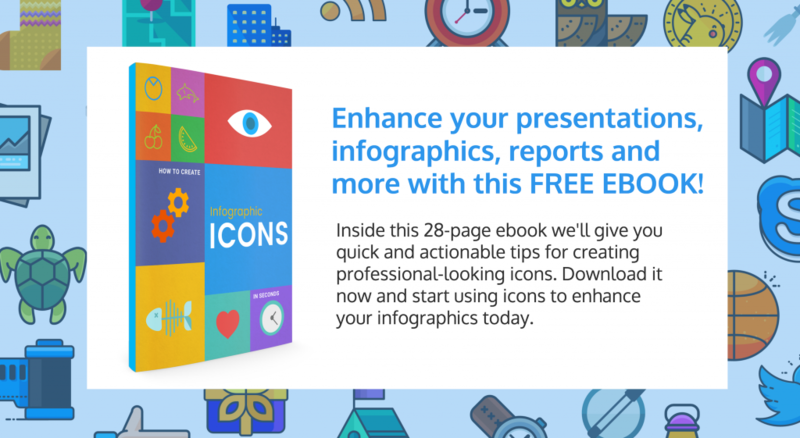 Are you an analytical think tank? Do you have dogs running around your office? Because we do. Company culture is important. The kind of working environment that your company fosters directly impacts the product, your productivity, and your overall happiness. Depending on who you are, certain company cultures will be a better fit for you than others. That’s why companies put so much effort into cultivating a company culture that reflects their values and mission statement. And why they put so much time and effort into recruiting employees who embody those values. Does this sound familiar to anyone else? Because it’s kind of making me think of something. That’s right. Hogwarts School of Witchcraft and Wizardry. …OK, fine, so this is a setup. With Fantastic Beasts and Where to Find Them coming out this week, we wanted to come up with something that combines two things we’re big geeks about over here at Venngage: tech culture and Harry Potter. 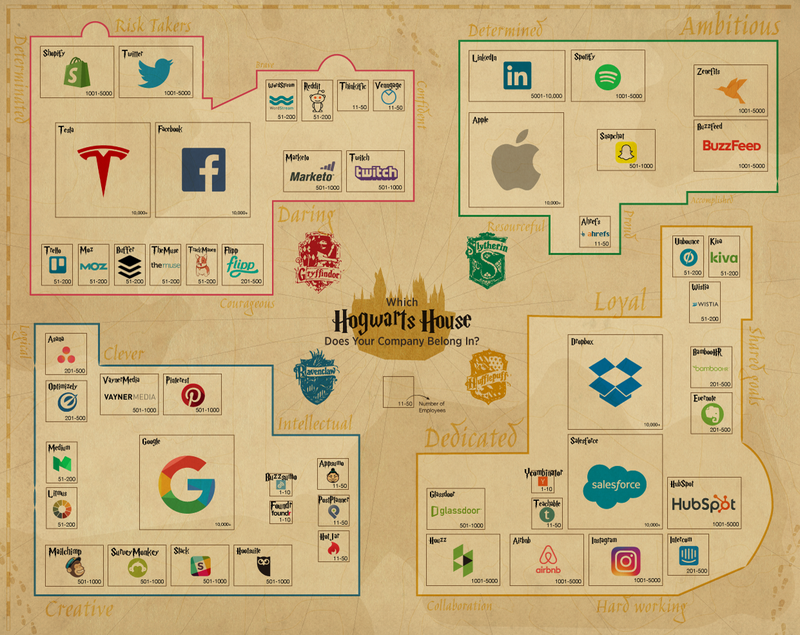 Never passing up an opportunity to geek out about the stuff we love, we decided to sort 54 of our favourite tech companies into Hogwarts houses. How did we decide which company belongs to which house? You know we came up with our own company culture-specific house descriptions. Then, we reached out people from each of the companies to ask them which description they felt best suited their company culture. For the companies that didn’t get back to us, we used a combination of the companies’ mission and value statements expressed on their sites, and Glassdoor employee reviews, to decide who goes in what house. Each Hogwarts house style has its own merits and potential downsides. We used the house descriptions on the Pottermore Wiki to help us craft company culture-specific house descriptions. We also used a general background knowledge of Harry Potter to envision what a company styled after each Hogwarts house would look like. Did I mention we really had fun with this? Companies with a Gryffindor culture want to be the best in their niche (and maybe even the industry as a whole) and aren’t afraid to take risks to get there. 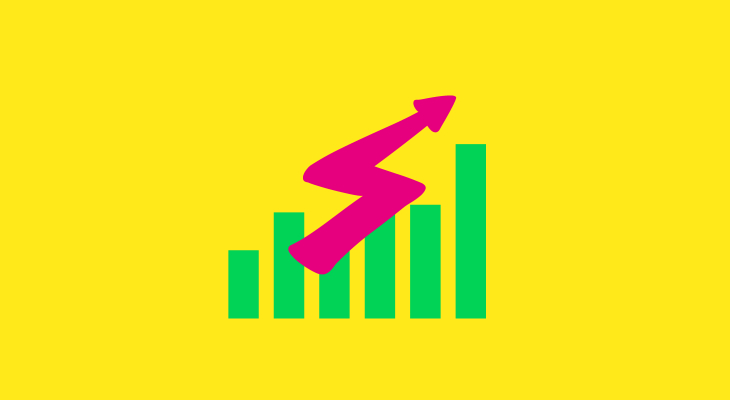 Generally, they are the most likely to use competitive incentives, like sales targets, to drive productivity. Companies with a Gryffindor culture pride risk taking, determination and competitiveness in their team members. An environment of community, collaboration and working towards shared goals is at the base of companies with a Hufflepuff culture. That’s why nonprofits and companies targeting education often align with this house. Companies with a Hufflepuff culture pride trustworthiness, loyalty and a strong work ethic in their team members. Companies with a Ravenclaw culture put a lot of thought into every aspect of their business. They pride themselves on creating the best product and on refining that product through rigorous testing. Companies with a Ravenclaw culture pride creativity, innovation and thought leadership in their team members. Companies in Slytherin are resourceful and tactic-drive and are always looking for new and better ways to achieve their goals. They may see the value in more traditional hierarchical structures, with a more rigid chain of command. But that doesn’t mean people in a Slytherin company culture don’t take care of their own–they simply regard experience as an important factor of authority. Companies with a Slytherin culture pride ambition and cunning in their team members. Which Hogwarts house was the most popular? 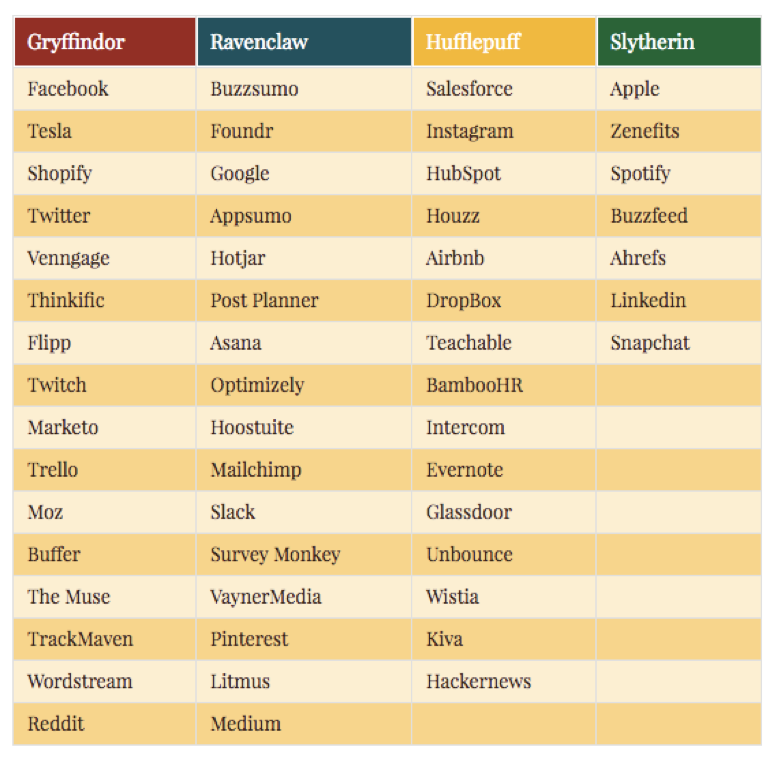 Based on the Harry Potter series, you might think that most companies would be sorted into Gryffindor. And you’re not totally wrong. Out of the 54 companies, 17 were sorted into Gryffindor. But Ravenclaw tied, with 16 companies sorted into that house, including email marketing magicians at Litmus. 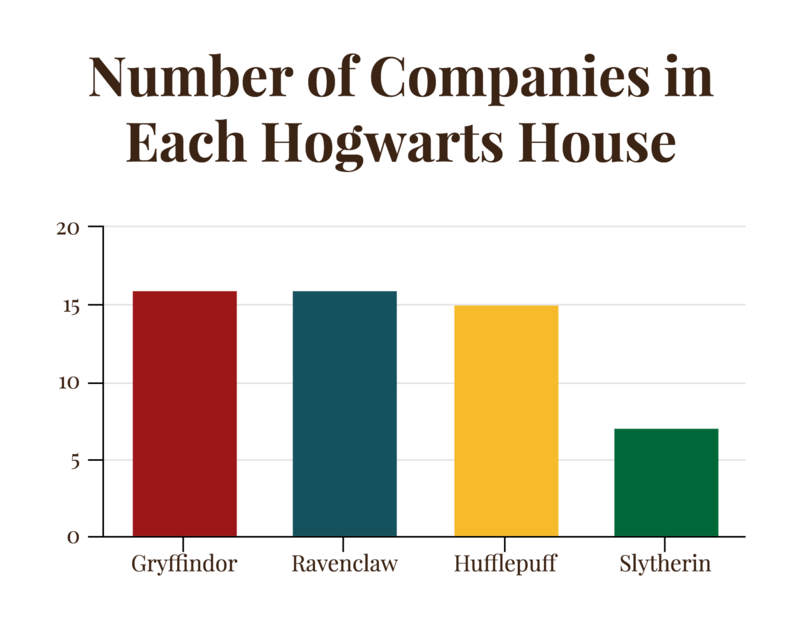 Close behind them were Hufflepuff, with 15 companies. Then Slytherin made up the minority, with only seven companies sorted into the house of the snake. This isn’t that surprising. Gryffindors are perceived as the real go-getters at Hogwarts, fiercely competitive and willing to take risks. And Ravenclaws are analytical and methodical, which lends well to them being experts in their niche. Both the Gryffindor and Ravenclaw approaches to company culture contain facets of the “startup” culture–testing new products and methods, taking risks, self-starting. And it’s definitely a trend right now for tech companies big and small to emulate a startup culture. Values like open communication, community building, testing and bold tactics all fit into the general “startup” culture. So despite being a big company, Shopify emulates a startup culture wherein they expect their employees to be ambitious, driven, and welcoming to the unknown. On the other hand, we sorted Appsumo into Ravenclaw because of their self-proclaimed obsession with detail and constant honing of every aspect of their business. Community is also a top priority for many tech companies as well–that’s why almost an equal number of companies were sorted into Hufflepuff as they were Gryffindor and Ravenclaw. Many job seekers these days are foregoing opportunities at bigger, well-known brands to work at smaller companies with a strong sense of community and a teamwork mentality. While community is important for any company, companies with a Hufflepuff-style culture are really focused on working steadily towards goals as a team; there may be less focus on star players as Gryffindor and Ravenclaw companies. 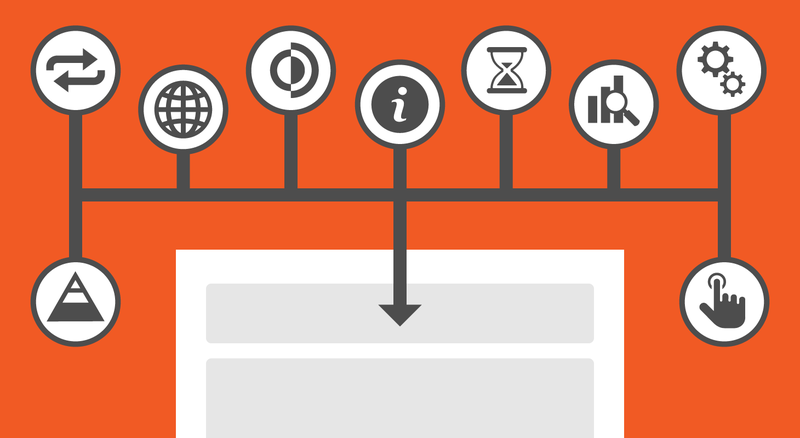 Caring for the customer is at the centre of the all of HubSpot’s decisions. And they have a 4.5 rating on Glassdoor, with many employees commenting on the team transparency and perks offered. Meanwhile, a Slytherin-style culture would likely have a more structured team and a more traditional valuing of tenured experience. And that might seem counterintuitive to the progressive mindset that so many tech companies strive to embody. For example, we sorted Apple into Slytherin because of the secrecy and cunning surrounding the development and release of each of their products, and because of the reportedly rigid chain of command. But these tactics are what have led to Apple’s immense success. They have a sweeping and loyal following hanging on their every new product release. And they’re one of the most prominent thought leaders not just in the tech world, but the business world in general. Does company size determine company culture? Rigid hierarchy seems to be going out of style in tech world. Instead, many companies are adopting a flatter, more egalitarian structure. But are these values depending on the size of the company? This is a growing pain of rapidly growing companies. How do you maintain that culture of open communication and personal support while also introducing middle management, a larger workspace, and compartmentalized projects? For that reason, you might expect the biggest companies to be sorted into Slytherin. But that’s not actually the case. 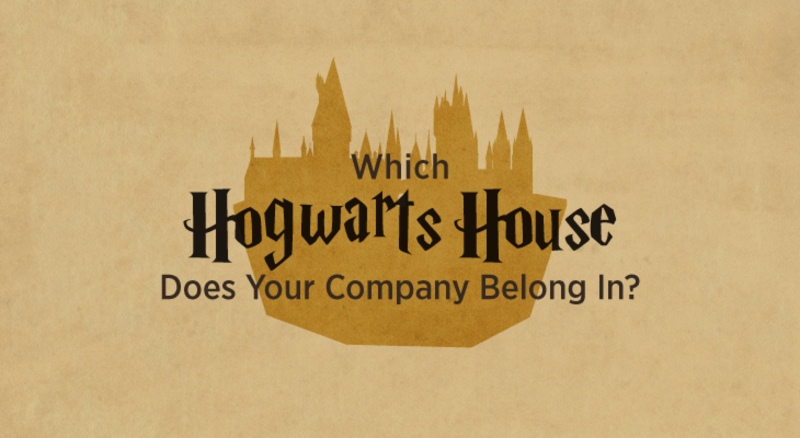 If you can believe it, Gryffindor and Hufflepuff had the most 10,001+ employee companies. Slytherin did have the only 5001-10,000 employee company. But four 1001-5000 employee companies were sorted into Hufflepuff, while three were sorted into Slytherin. 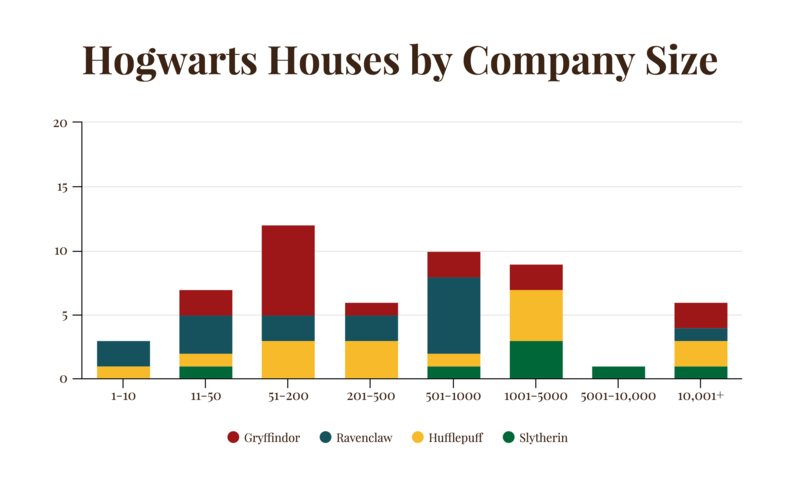 And Ravenclaw had the most 501-1000 employee companies by far. It certainly is possible to foster a culture focused on community, teamwork, and grit even if the team is larger. 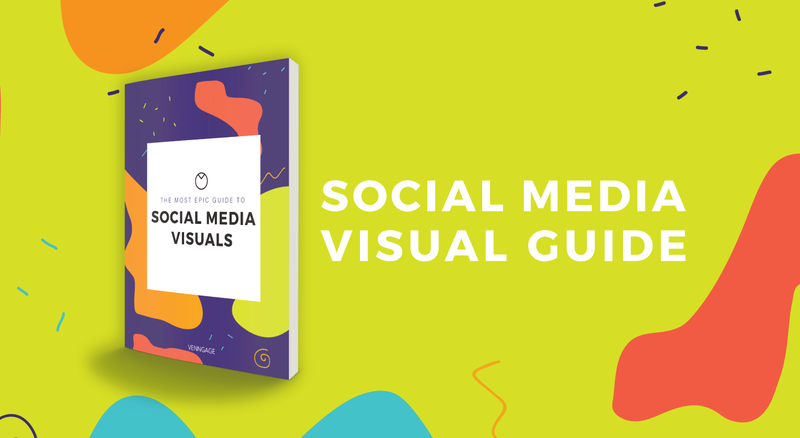 Take Facebook, who we sorted into Gryffindor: even though they’re a massive company of 10,001+ employees, they manage to foster a culture of community, growth and exploration. They do this by dividing employees into small teams and focusing not on position titles, but on the quality of each team member’s work. That being said, only one 11-50 employee company was sorted in Slytherin, while the rest of the Slytherin companies had larger teams. So the more structured, calculated approach of a Slytherin-like culture lends itself to a company with a bigger team and higher stake decision-making. Is it better to have one distinct style, or a combination? Our sorting of each company should definitely be taken with a grain of salt. 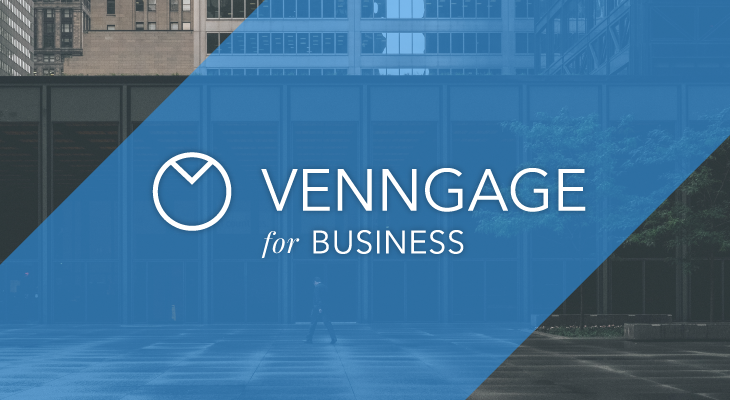 We sorted Venngage–a small business of 11-50 employees–into Gryffindor based on our values of owning our jobs, winning and losing together, serving our customers through their journeys, learning and improving, and reflecting, planning, and acting. 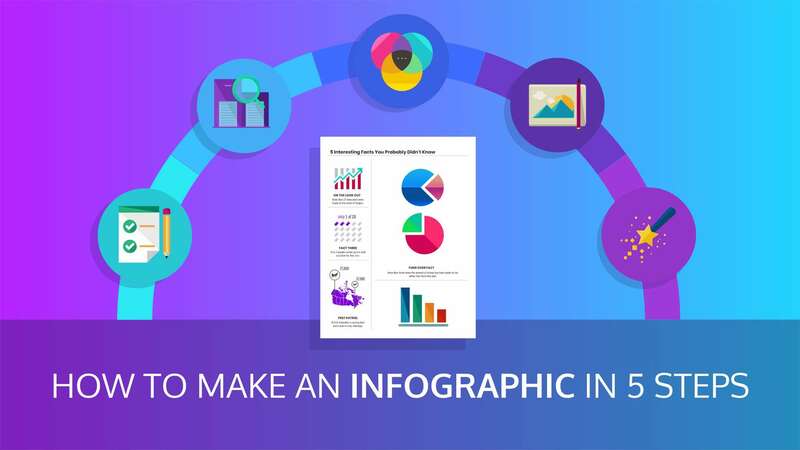 After all, our mission is to help enable the data revolution–to make data visualization accessible to people from all walks of life. But we also seriously considered sorting Venngage into Ravenclaw because we are always testing new and creative approaches to developing and marketing our service. And we’re always honing our product and processes to get better and better results. And community is no small factor at our company either–we’re a very close-knit team with an altogether flat structure and a strong sense of support between team members. So an argument could just as easily be made for us having a Hufflepuff-style culture. The house we found ourselves relating to the least was Slytherin–but not because of any sort of house prejudice! In fact, some of our team members are lovely Slytherins. But even then, we are trying to adapt our approach to projects to be even more tactic-driven and calculated, to yield the most successful outcomes. So in that way, we are adapting to try and take a more Slytherin-like approach. Basically, being immersed in our own company culture, we were able to see places where aspects of each Hogwarts house shone through. I imagine the case was the same for other companies we asked. As cheesy as it sounds, we came to the conclusion that ideally, you should seek to pull the best elements from each Hogwarts house and apply them to your company culture. My personal theory is that whatever house you’re sorted into is an indication of what your approach to problem solving is. So if your approach to a problem is to take on the problem as a team, you could be a Hufflepuff. If your approach is to tackle the problem by yourself and to deal with the consequences later, you might be Gryffindor. If it’s to calculate every possible outcome and choose the solution that is most beneficial for you, you might be Slytherin. And if your approach is to calculate a number of possible solutions and test them to find the best one, you might be Ravenclaw.